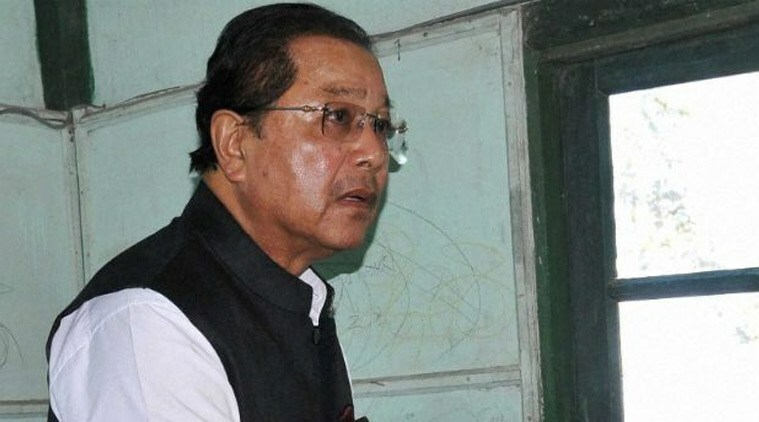 A complaint has been lodged against Mizoram Chief Minister LalThanhawla with the Election Commission of India (ECI) alleging that the Chief Minister submitting a false affidavit about his assets. Hriatrenga Chhangte, a voter from the Chief Minister’s constituency, in a letter to ECI alleged that Chief Minister LalThanhawla “deliberately submitting a false affidavit” about his unmovable assets. Mizoram is due for elections in the second half of 2018. LalThanhawla, who has been the chief minister of the Northeastern state since 2008, filed the affidavit – as per the Supreme Court’s 2002 directive to the ECI for any candidate filing nomination papers to contest an election – on November 8, 2013. Chhangte said that the chief minister was allotted a plot of land in Kolkata’s New Town prior to filing the election affidavit, but didn’t disclose the property in it, thereby attracting section 125A of the Representation of People’s Act, 1951. “After I got posted in Kolkata, I began to meet fellow Mizos residing in the city. It was in one of the social gatherings that I got to know that some leaders of the Kolkata Mizo Welfare Society had invited the chief minister visiting the city to attend a church service on a particular Sunday but was told that he had no time for it as he had to oversee the progress of the construction of his house in New Town area of Kolkata,” The Wire quoted Chhangte as saying. Responding to the accusation, LalThanhawla didn’t deny owning the property but told local media that he didn’t mention it in the 2013 affidavit as the mutation of the plot took place only in 2014.